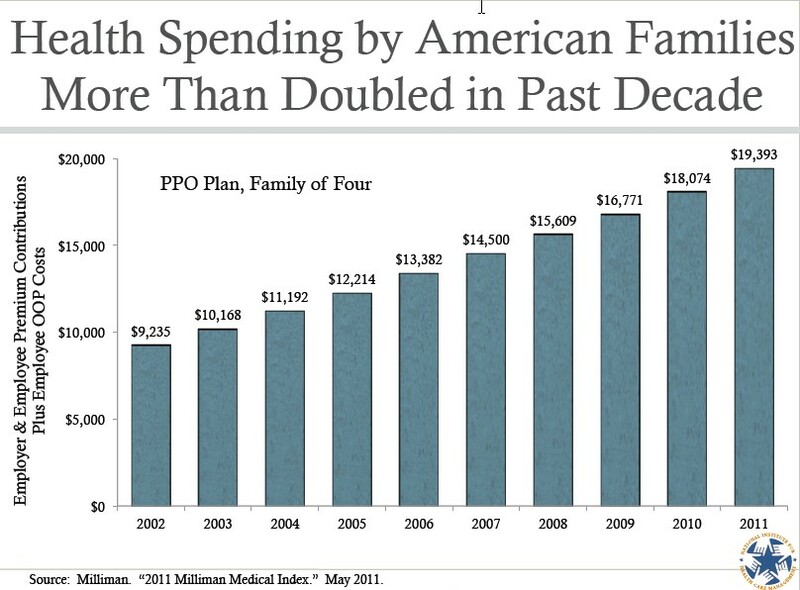 For my money, Julie Schoenman of the National Institute for Health Care Management (NIHCM) produces some of the most attractive and informative charts on health care spending and related issues. You can find a huge set of them on the this NIHCM web page. Scroll down to the “Additional Slides with New Graphs on Health Care Spending” section (see the PDFs that begin “Chapter 1,” “Chapter 2,” etc.). Aaron posted some recently here and here. Below are three more that caught my attention. They require no additional comment. 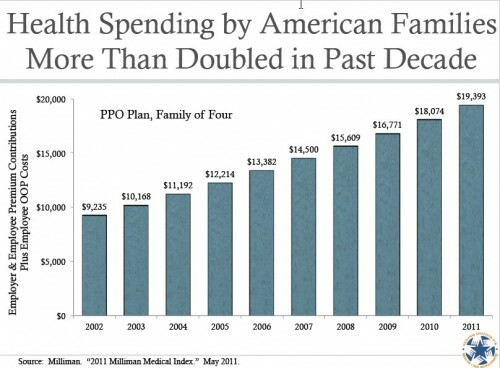 That first chart is insane. Actually, they’re all pretty insane, but the first one is the most insane. 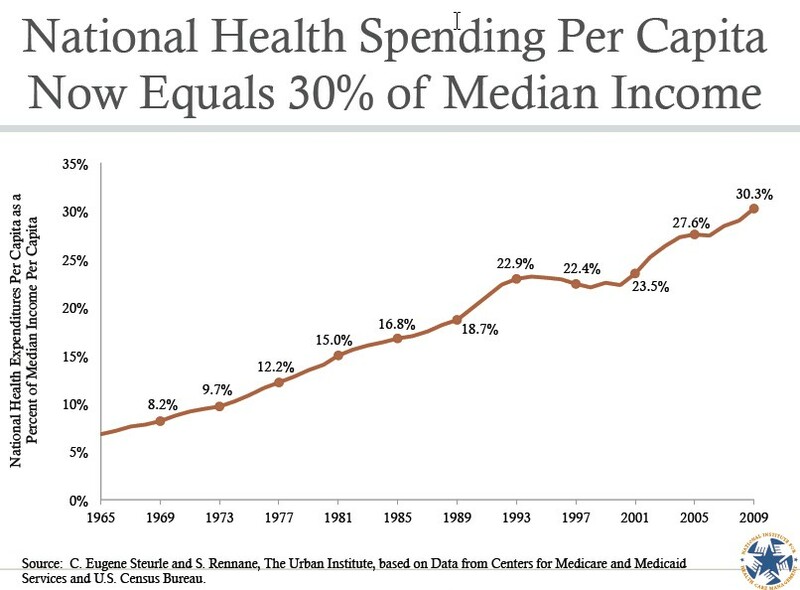 Chart 1 should’ve gone up because we do depend on and care more about health care use and believe it will make us live longer better lives, but not that much! This is absolutely insane…. 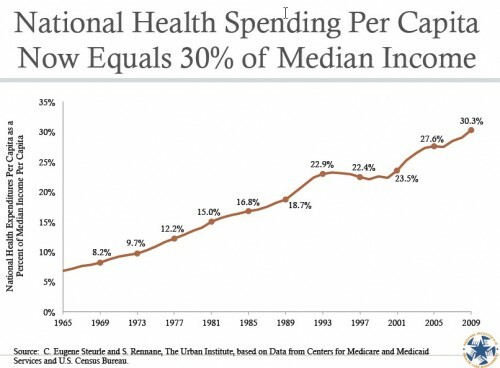 30% of per capita income on health care? Annals of Internal Medicine (paywall so I don’t have the full article) of the cost of a simple, uncomplicated appendectomy in California. The prices varied from $1,500 to $182,000! The median was about $35,000. This is a simple, uncomplicated surgery with a few days int he hospital. Prices are out of control. The “free market” and capitalism aren’t working to lower prices. We need strong government intervention (like other countries). It’s a testament to wage stagnation as well. 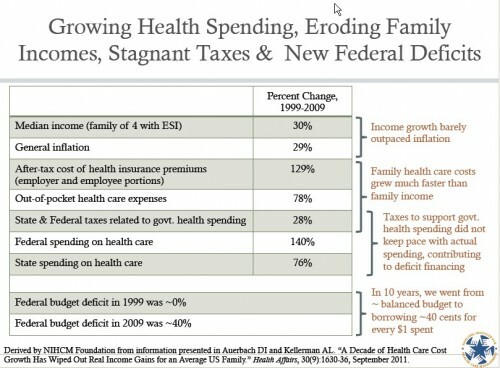 My only issue is that the first slide is comparing an average (per capita income) with a median. It is bound to be a skewed result. It is still a powerful message.